Although the nights have been cold of late, the peonies in our perennial garden are energetically pushing up. Their crimson stalks are nearly knee-high; their white flowers will soon be in bloom. That is the nature of hardy perennials and the origin of their name: they come back every year. Having watched this happen, year after year, can we still greet the return of spring flowers with the excitement, joy, and awe we felt when we were younger? 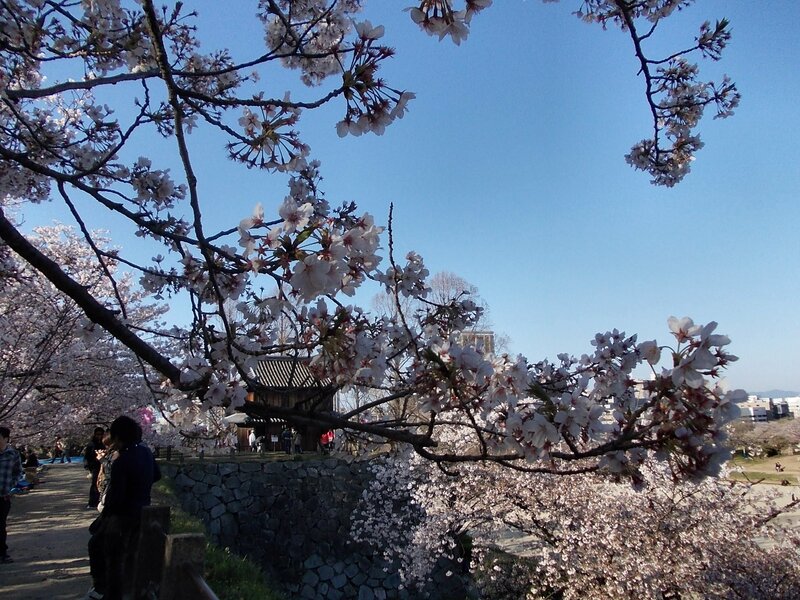 For anyone who has looked closely at cherry blossoms, whether in Kyoto or Washington, D.C., it may be hard to imagine not being moved by the flowers’ evanescent beauty. What astonishes Saigyo, however, is his own response. A mature adult, he had thought his heart was jaded. Instead, he found his passion for natural beauty unabated. Revisiting his childhood, MacNeice remembers a time when he experienced words as colors. Harlot and murder, words with dark connotations, were heard, read, and felt as the color purple. Words were wedded to the language of the senses, and language itself was experienced as a “prism”—a multicolored wonder rather than a tool of the concentrated mind. For Saigyo, a poet-monk accustomed to the language and practice of non-duality, the direct apprehension of natural beauty may have come naturally. But for those of us who habitually divide subject from object, self from other, a direct encounter with natural phenomena is often impeded by language and dualistic thought, not to mention years of conditioning. “I must become a child again,” wrote the poet Thomas Traherne. But in what way is one to do that? By what means may we rekindle and cultivate a sense of awe? * Saigyo, Poems of a Mountain Home (Columbia University Press, 1991), 39. ** Louis MacNeice, Selected Poems, ed. W.H. Auden (Faber, 1988), 80. “*** Scott Russell Sanders, Earth Works: Selected Essays (Indiana University Press, 2012), 253-263.